Photo of a classroom, looks like it was "Bring Your Bear To Work" day. Found in "Castaways of the Flying Dutchman" by Brian Jacques. Published by Philomel Books, 2001. Really cute. I always loved days like this at school. 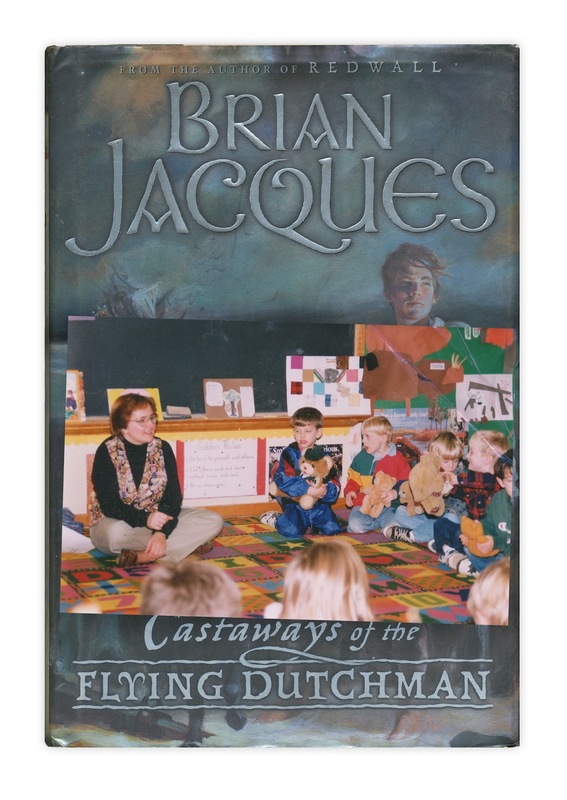 Brian Jacques passed away a few weeks ago. His imaginative stories help my kids and their friends become enthusiastic readers. So cute ! Great days at school ! It may be a teddy bear picnic, we used to have those in school. Shelly, I never thought of that... I remember my sisters had that when they were in school. There's a catchy-but-annoying song that goes with it, if I am not mistaken. Indeed there is a song! I had a great old record with that on it.